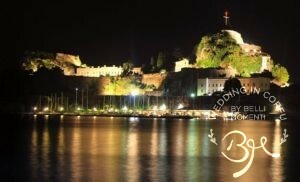 Corfu, is a unique island, that combines the delicacy of a cosmopolitan place with the simplicity of a Greek island, accomplishing, until the last detail, the challenges of an extra fine wedding. We have explored the whole island, to find every hidden treasure, every beauty and undiscovered paradise, to offer you the perfect spot, for this memorable day. Our specialty, to design and organize your Church Wedding or your Civil Wedding following by a Symbolic Ceremony and reception-party of your dreams, according your wishes. Our uniqueness, to create choices for you, such amazing places as, Achillion Palace, a Private traditional or modern Villa with a breathtaking view, a Luxurious Hotel by the sea, a traditional Corfiot Tavern in the seashore, an elegant sea side Beach Bar Restaurant, an islet, an old abandoned Secret Corfiot Village, an idyllic Ancient Olive Grove, aboard a Luxurious Yacht or even a traditional Fishing Boat. As long as concerns us…there is nothing impossible!